Nothing says action like waiting until Pell was found guilty by a secular court and then dropping him from your inner council a day later. Oh, now you're getting serious about this, Frank? You know it's hard times when tuttle is right. That was even hard to type. Surprised we haven't seen Onyx yet. He could tell us what happened in the Star Chamber. That man was tried in secret. Also, unrelated. Decided to peruse America, having never read a Jesuit publication before. Simcha Fisher is effing annoying. Pope Francis begs countries who “continue to apply the death penalty” to “adopt a moratorium”, in prepared remarks on Monday to members of the International Commission against the Death Penalty. 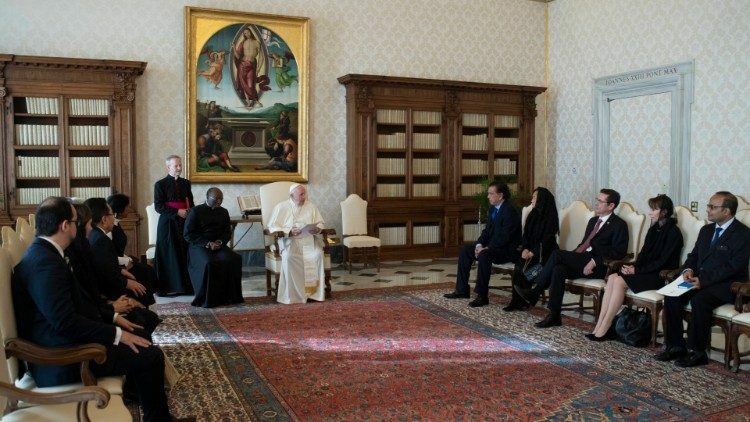 Pope Francis received in audience members of the International Commission against the Death Penalty on Monday. In prepared remarks which were given to members of the Commission, Pope Francis begged countries still applying the death penalty to “adopt a moratorium”. Since the beginning of his ministry, Pope Francis told Commission members, the truth that “every life is sacred” had convinced him to commit himself to abolishing the death penalty at the international level. This commitment became concrete, the Pope said, with the recent change of paragraph 2267 of the Catechism of the Catholic Church. He said Church teaching now reflects “the doctrine of the latest Pontiffs as well as the change in the conscience of Christians who reject a penalty that seriously harms human dignity”. Pope Francis reiterated that the doctrine accepting the death penalty came from a “period that was more legalistic than Christian” which “ignored the primacy of mercy over justice”. The Pope affirmed the Church’s current teaching that “in the light of the Gospel, the death penalty is always inadmissible because it is an attack on the inviolability and dignity of the person”. 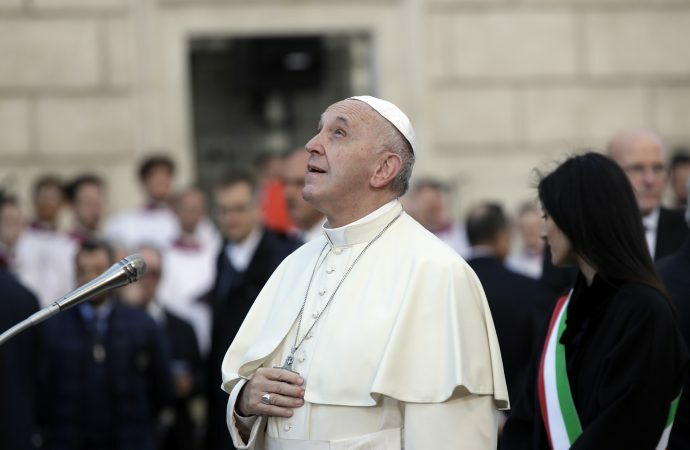 At the same time, an ongoing prison sentence that does not allow the moral rehabilitation of the person and his or her reinsertion into the community is a “hidden death”, Pope Francis said. No one can be deprived either of life, or the hope of “redemption and reconciliation”, he said. The Church’s commitment to opposing the death penalty needs to be equalled by the international community, Pope Francis continued. The sovereign right of nations to determine their legal systems cannot be in contradiction with international law or “the universal recognition of human dignity, the Pope said. He also praised the UN’s resolution encouraging that member nations “suspend the application of the death penalty”. Returning to the theme of the abolition of the death penalty, Pope Francis’ prepared remarks concluded with a declaration that both the Church and the Holy See desire “to collaborate with the International Commission against the Death Penalty in building the necessary consensus to eradicate capital punishment and every form of cruel punishment. “It is a cause”, he said, “that all men and women of good will are called to and it is a duty for those of us who share the Christian vocation of Baptism”. I come in humility, asking for help. Not seeking argument, but looking to be proved wrong. How does the change to the teaching on the death penalty not break the old maxim of quod ubique quod semper quod ab omnibus creditum est? I dont see how I can read the same sense into it as that which came before. "Sometimes the death penalty is permissible" can not be read in the same sense as "the death penalty is always impermissible." Its clever placement, too. The death penalty isnt a hill anyone is willing to die on. It's ugly, it is messy, it's something most dislike on some level and very few champion as God's will. It's a great place to lay the seed for future harvest. Now that we've broken the magisterium, we can have a lot of fun. I'm hoping I'm way off base. The following represents my contributions to the convo when the topic was discussed last summer. Skimming them quickly, I'd say that — other than a couple of emendations I'd make to the first post in the series — they represent my settled thought on the subject. Maybe they'll be of help. You'd make a very fine Jesuit, Wos. You, yes you, could win the Pope's Lamborghini! Signed and blessed by the Pope himself! Hells Yeah I Bought My Wife a Lambo Outta Church....uh, Yeah! Edit. Hah. I'm a fool. Also, still laughing at signed papal lambo. I’ve always loved the white with gold trim outfit. The Pope’s outfit is pretty cool, too! That's kind of why I thought it was funny. I know it's for a good cause, but it's kind of hilarious how it reflects a little of the stupid antics of American Protestants. 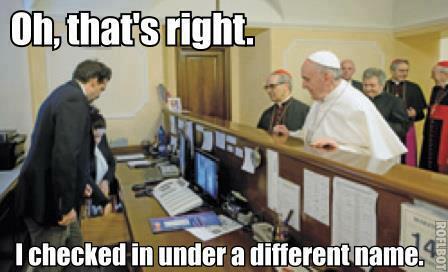 Now if the Pope really wants to flip the switch, he'd use this as a way to get butts into the pews. He really missed an opportunity there. I know someone who attended a church because they raffled a flatscreen T.V.... Yeesh. What kind of church raffles off things? What kind of church doesnt? Just out of curiosity, are you still liking this Pope? Yeah, right? Church is for BINGO!